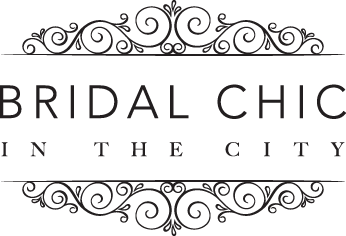 The city London wedding venues shown here are just a snippet of what this awesome city has to offer, have a read and follow some of these awesome wedding spaces. Located at the heart of Canary Wharf this Art Deco-inspired venue offers a fabulous alternative to a luxurious London wedding venue. Boasting two sweeping staircases, floor-to-ceiling windows, luxury leather furnishings and a beautiful baby grand piano. Strawberry Hill House is internationally famous as Britain’s finest example of Georgian Gothic revival architecture 18th century building, which has been lovingly restored. You can say “I do” in a lavish and ornate Gallery with vaulted ceilings, golden canopy curtains and crimson walls. Based in Forest Hill, this London venue is perfect for a summer wedding, as it offers three unique rooms for both the ceremony and reception. If you’re looking for a showstopping building, the Horniman’s ornate greenhouse style is sure to impress your guests. The Globe is a must for those wanting a theatrical wedding experience. One of London’s best known landmarks, if you have always dreamt of a wedding venue with a tree in the reception room, then this one is for you. With its riverside location, the Balcony Room and Underglobe are licensed to hold weddings and civil ceremonies. The Grade II listed Mappin Pavilion and The Prince Albert Suite at London Zoo Regent Park can be your wedding venue for the day. Even better every wedding held here will make a lasting impact as all profits from the celebration go directly into helping critically endangered animals. Know to many as the dinosaur museum The Natural History Museum boasts several galleries for a range of wedding events, from the Earth Hall to the Darwin Centre this truly is one venue to everyone will be talking about. As the sun sets London lights up around you and the celebrations get into full swing. Start you lifelong journey together among the spellbinding views of London at this iconic architectural landmark. Kew Gardens offers a host of historic and modern venues for receptions and ceremonies. From the Princess of Wales Conservatory, the Orangery, to Cambridge Cottage, the former residence of the Duke of Cambridge, the venues offer grandeur and sophistication. Also a good thing to know is that by saying your vows at Kew means you are supporting their vital plant conservation and scientific research. Weddings at the iconic Fortnum & Masons store who knew it! All nine rooms are stunningly decorated with Georgian detail, and of course, Fortnum & Mason are more than willing to cater for your reception too, an ideal location for a small and intimate wedding alongside an impossible range of detail. Their unique London wedding venue on level 34 can host bespoke weddings, civil ceremonies and receptions for 20 to 110 guests. A dedicated events team will take care of every detail from beginning to end. A handpicked collection of relaxed, intimate wedding venues in some of London’s most loved iconic pubs. The venues sell themselves; each pub is as individual as its neighbourhood and the people working within it, however all boast carefully elected beer, wine and traditionally British menu options as well as smiley can-do attitudes. Dartmouth House, home of The English-Speaking Union, is an elegant mansion set in the heart of London’s Mayfair, providing the perfect setting for hosting your wedding cerempny and reception/ The Courtyard provides the perfect setting for an elegant London wedding with its fountains, wrought iron tables, and majestic marble staircase. The venue features a 1930s red-brick tower boasting fascinating structural design elements, flooded by natural light. The perfect setting for wedding receptions, meetings and parties, the outdoor terraces overlook the glistening water providing an incomparable experience in a one-of-a-kind venue. The Village Underground is a multi-functional space which is also available for private events and corporate hire. Our team are able to help envision, produce and host a wide range of events. The money raised from these hires directly funds our artistic programme. The Rooftop at Ace Hotel London is huge — Over 3,000 square feet total, a huge outdoor terrace and amazing views. The space is a cinch to transform, and we’re well-versed in how to do it. Not only that, but we’ve got a couple of amazing resources right on site: Hoi Polloi — our modern English brassiere — and That Flower Shop, a floral and botanical design studio run by our super helpful friend Hattie Fox. We’ll take the fuss out of everything. Flexible project spaces run by artists. Locations for photo shoots, filming, exhibitions, events and weddings. Providing unique locations to the filming and photographic industries and wedding hire is the ideal backdrop to the creatively minded. Comment below if you have ever visited any awesome wedding venues in London.